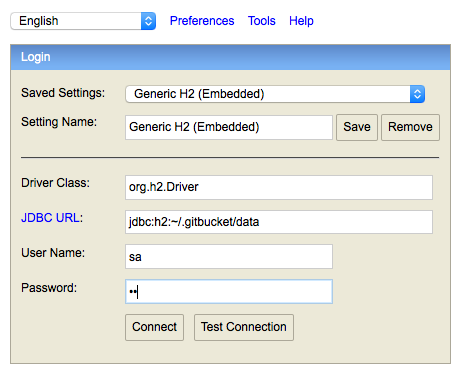 You can look GitBucket data in H2 via H2 Console integrated into GitBucket. Note: Replace "~/.gitbucket" with your HOME directory if you changed the directory (e.g. "jdbc:h2:C:\GitBucket_HOME\data").